A man in an NRA hat (who didn't want to give his name) speaks at a March For Our Lives event on March 24 in West Palm Beach, Fla.
A federal judge in Florida has decided that the National Rifle Association cannot use pseudonyms for teenagers who want to buy guns as part of a legal challenge against new gun laws in Florida. The judge expressed sympathy for the teenagers, acknowledging that they probably would suffer extreme harassment if their names were public. But, he wrote with evident reluctance, the law was clear that pseudonyms were not allowed. The NRA has one week to either add names to the lawsuit, or remove the unnamed teenagers from the case. Jennifer Baker, a spokesperson for the gun rights group, said they were disappointed by the court's ruling. "Just as in Roe vs. Wade, individuals should be able to vindicate the Second Amendment without having to expose themselves to harassment and bullying," she wrote in an email to NPR on Monday. In March, Florida's governor signed a new law tightening gun restrictions — raising the minimum age for gun purchases to 21, among other things. The changes came after passionate advocacy from survivors of the Marjory Stoneman Douglas High School shooting in Parkland, Fla., in February. The NRA is challenging the new age limit, saying 18-year-olds are adults with a constitutional right to bear arms — and old enough to "fight and die by arms" in the military. It said the law is particularly unfair to young women, who are very unlikely to perpetrate violent crime. Originally, no individuals were named in the suit — it just described "NRA members" in general. But the gun rights organization later added references to "John Doe" and "Jane Doe," 19-year-old Floridians who would like to own guns but are not allowed under the new law. It asked for permission to keep the teenager's true names out of the lawsuit, to protect them from hateful attacks. Judge Mark Walker said he had no doubt that the risk of harassment is real. "If it were entirely up to this Court, this Court would not hesitate to grant the NRA's motion," Walker wrote. 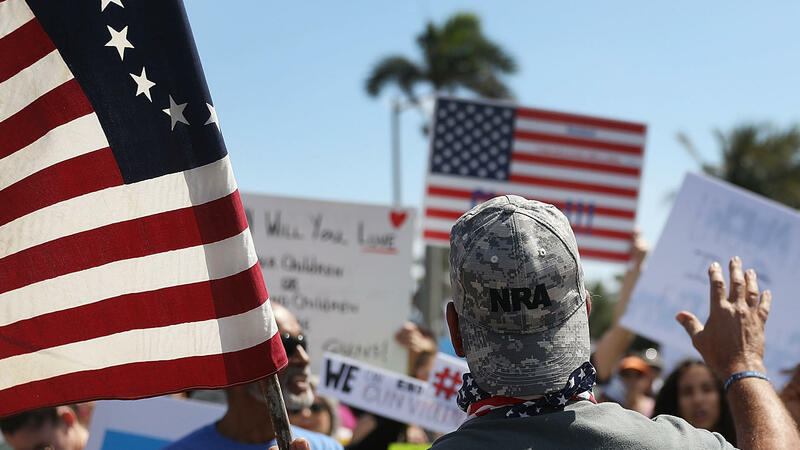 "One need only look to the harassment suffered by some of the Parkland shooting survivors to appreciate the vitriol that has infected public discourse about the Second Amendment. And this Court has no doubt that the harassment goes both ways ... "
"But it's not entirely up to this Court," the judge explained. He's bound by precedent, he said, and precedent holds that pseudonyms can only be used in "exceptional" cases. If the 19-year-olds were children, or the lawsuit involved extremely personal information, things would be different. But as it is, they can't sue anonymously, the judge wrote. He did suggest that, given how easy it is for lawsuits to inspire "a rhetorical barrage of hate" these days, it might be time to change the law. "Unfortunately, it seems the internet just doesn't always bring out the best in us," the judge wrote.